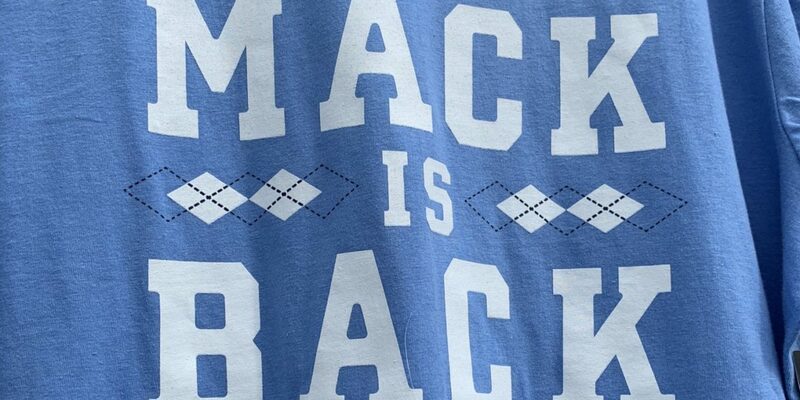 UNC’s spring game was a relaxed affair, with Mack Brown opting for a 70-play scrimmage in lieu of a traditional game. But for the quarterbacks, each play was another opportunity to separate themselves in the three-man race. True freshman Sam Howell received the first snaps of the game and finished 10/16 for 131 yards, one touchdown, and one interception that came from a tipped pass. Howell, the jewel of UNC’s latest recruiting class, started off shaky but put things together in the second half. Shortly after halftime, Howell connected with receiver Roscoe Johnson for a 42-yard touchdown pass to put Team Tar Heels on the board. Sophomores Cade Fortin and Jace Ruder were next up in line in the quarterback rotation. Fortin finished 3/7 for 29 yards. Ruder was 4/6 for 143 yards and a rushing touchdown. With Nathan Elliott opting to take a graduate assistant position at Arkansas State and Chazz Surratt switching to linebacker, Carolina’s quarterback room will be inexperienced this fall. Of the three players, only Fortin has started a game in college. Brown also mentioned the transfer portal, which has been a hot topic in college football. This offseason has seen many high-profile quarterbacks enter the portal and transfer to different programs. The starting quarterback will be the biggest decision for Brown and his staff before the August 31 opener against South Carolina.